When the thunder of gunfire broke through the revelry of a country music dance hall packed with young people kicking back on “college night,” Thousand Oaks, California, added its name to a dark roster: The site of the 307th mass shooting in the U.S. this year. 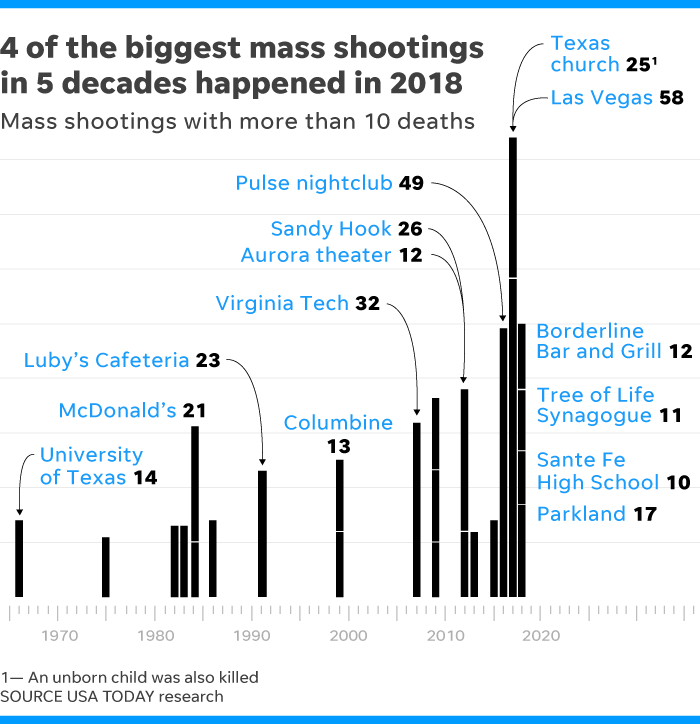 The Wednesday night massacre at the Borderline Bar and Grill, which left 13 people dead, including the gunman, became the nation’s latest mass shooting, according to data from the Gun Violence Archive, a not-for-profit organization that provides online public access to information about gun-related violence. The incident was also the deadliest mass shooting in the U.S. in 2018 since 17 classmates and teachers were gunned down at a Parkland, Florida, school on Valentine’s Day. That shooting galvanized a student-led anti-gun movement that turned young people into activists. Just 24 hours before the spree in Thousand Oaks, Parkland survivors had celebrated the toppling of some NRA-backed candidates in Tuesday’s midterm elections. 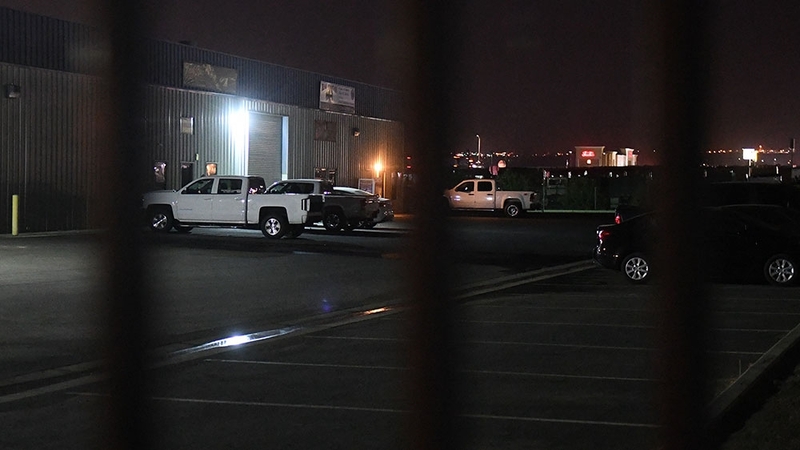 California’s previous worst 2018 mass shooting came on Sept. 12, when a Bakersfield man fatally shot five, including his wife, before killing himself. • Oct. 16, 1991: George Hennard, 35, crashed his pickup through the wall of Luby’s Cafeteria in Killeen, Texas. He shot and killed 23 people before committing suicide. • July 18, 1984: James Huberty, 41, gunned down 21 adults and children at a McDonald’s in San Ysidro, California, before being killed by police.